South Africa collapsed for the second time in three days in Galle to hand hosts Sri Lanka a comprehensive 278-run win in the first Test. Chasing a formidable 352 in their second innings, the visitors were all out for 73 in 28.5 overs on Saturday, 14 July. It was worse than the 126 they posted in their first attempt, and their lowest total since readmission. 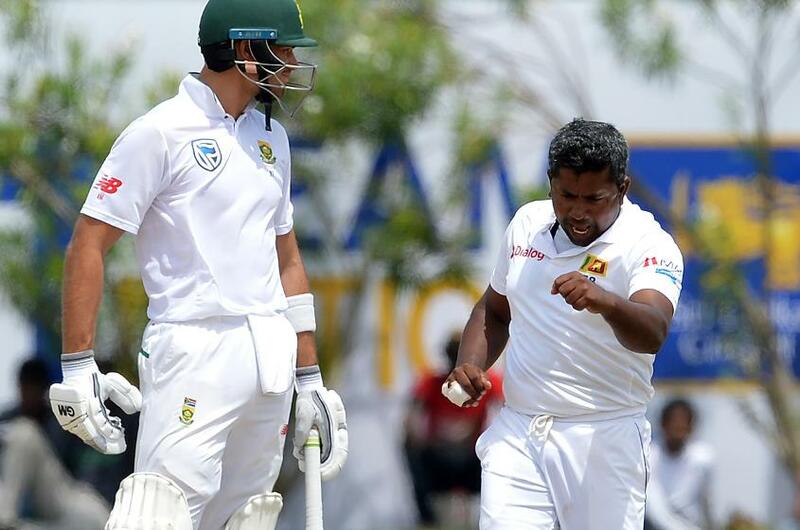 The batsmen were left in a daze by Dilruwan Perera, the off-spinner, and Rangana Herath, the veteran left-arm spinner, who supervised this demolition job with 6/32 and 3/38 respectively. The last wicket falls and it's all over. South Africa are all out for 73 runs, their lowest Test total since readmission. 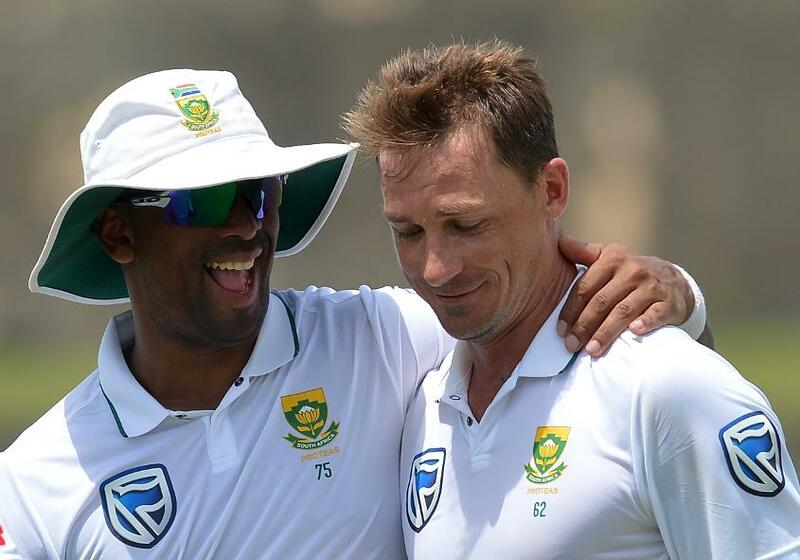 For South Africa, the positivity of the morning session, which had seen Dale Steyn join Shaun Pollock atop the list of the country’s top wicket-takers and Kagiso Rabada get to 150 Test wickets, quickly dissipated. No team had ever chased more than 99 at this venue, and South Africa knew they had a mountain to climb. They survived an early shout off Herath and got to lunch at a nervy 5/0. Soon after the break, however, the floodgates opened, as four of the top five failed to make even five runs. Dean Elgar, having blocked a few, came down the track to Perera and missed, allowing Niroshan Dickwella to take the bails off. Hashim Amla, who faced just two balls, Temba Bavuma, and captain Faf du Plessis all saw edges eagerly swallowed up by close-in fielders. Aiden Markram, the only one till then to get to double-digits, lost his patience and charged down the track to be stumped. When Quinton de Kock completely missed the ball to be bowled, South Africa were in deep trouble at 36/6. Keshav Maharaj and Vernon Philander lived dangerously, before Maharaj became Perera’s fifth wicket of the day, caught at the ropes. Philander struck a couple of sixes and remained unbeaten on 22, the best score of the innings, but that counted for little as the batting unravelled. Earlier in the morning, with Sri Lanka resuming on 111/4, young Rabada was in the middle of all action, causing a run-out, getting the ball to move, and taking wickets. He finished with seven for the match. The hosts, though, pushed on. First Angelo Mathews (35) and then Suranga Lakmal (33*) found the gaps to push the lead past 350. They were finally bowled out for 190, and along with their first-innings 287, built on opener Dimuth Karunaratne's brilliant 158*, gave their spinners more than enough to bowl at. 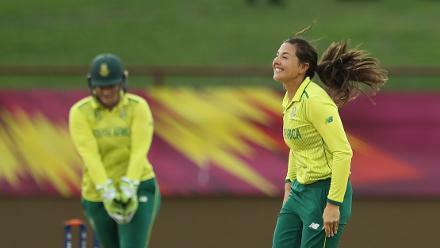 For South Africa, after this performance, not only their 2014 success in the island nation, but also their recent dismantling of Australia at home will seem far in the past.